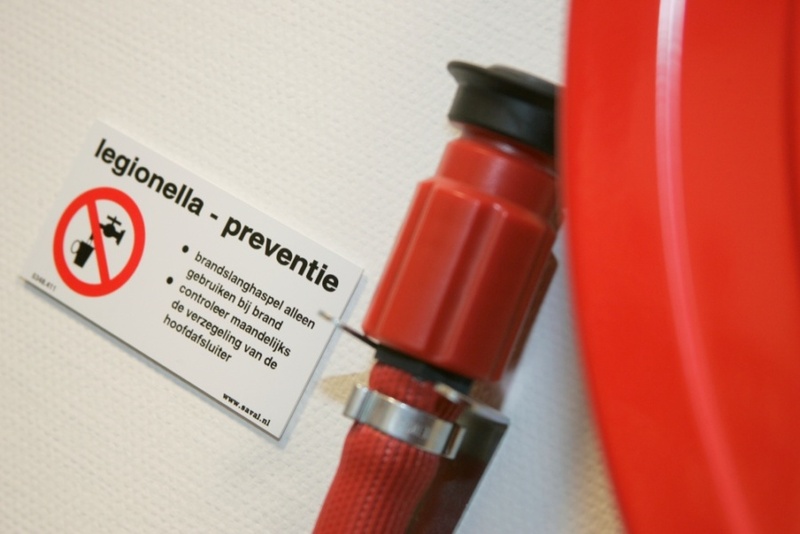 Our red fire hose reels (Deco-D) that you know should be used to extinguish incipient fires. 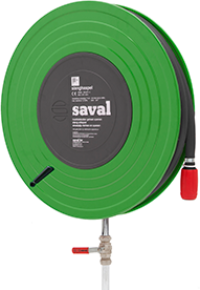 For everyday use Saval has made an industrial green hose reel. Saval Deco industrial reels are installed in environments that place heavy demands on the equipment. All metal parts are galvanized for optimum protection against corrosion. In addition, the reel blades are provided with a protective polyester powder coating. The Saval Deco Industry reel drum is available in various versions with variations in hose length and the diameter of the hose. Green circular solid discs for recognition.Rotating water connection made from high-quality synthetic material.No heavy weight on the water supply, so almost no chance of water leakage.Comfortable winding handle.CE approved. Deco Industry - D31-I 20M ¾"